I went to Napa this weekend with some of my high school friends. It was sort of a reunion sort of thing. Anyways we went to Taylor's Automatic Refresher while we were there. 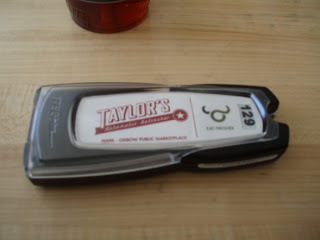 Here is the pager they gave me when I ordered my meal. I got a classic burger and some onion rings. Here is my food, the burger is made with an egg bun. All my friends got some sort of side dish to share, I got the onion rings to share. 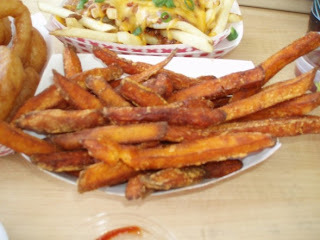 The above is chili fries, garlic friends and sweet potato fries. All of it was super yummy! 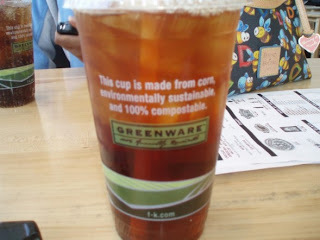 I got an ice tea also I thought the cup was interesting, it says "This cup is made from corn, environmentally sustainable and 100% compostable." I thought that was cool! 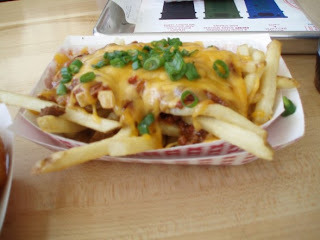 It was just like plastic, everywhere should change their plastic containers to this. Anyways when I got back home I thought this was so good that it should be Zagat rated so I checked my book and it was there! Here is what my Zagat book said. 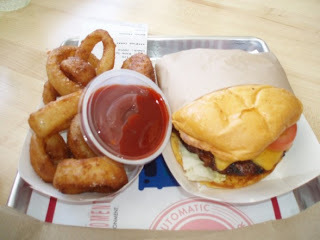 Cost : 17 dollars (this usually includes cost of a drink also) My meal was 15 bucks for the burger onion rings and ice tea. Hi! 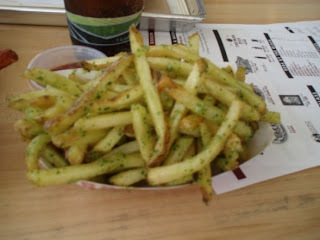 I'm from Spain so my english it's so bad... :P I saw this food and I'm so hungry. Ah! The puzzle is very beautiful.